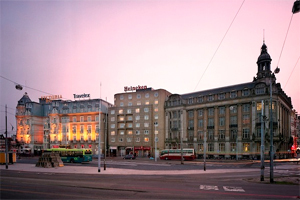 Scheduled to open in October 2013, art’otel amsterdam is brilliantly positioned in the heart of the city with the lively Dam Square, Museum Quarter and Kalverstraat on the doorstep. Art’otel amsterdam is close to key city attractions such as EYE, Amsterdam’s new landmark film institute, ‘De 9 Straatjes’ (‘The Nine Streets’) the iconic canal network and the Rokin shopping area. The city’s exceptional restaurants, bars and clubs are close at hand and, being located just across from Central Station, Amsterdam Schiphol Airport is within easy reach. 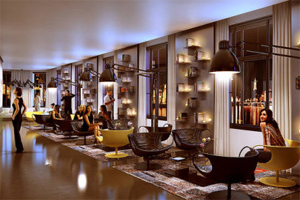 Art’otel amsterdam is the first of a new generation of art’otels, offering enhanced services and amenities. Providing a seamless fusion of art and life, art’otel amsterdam creates an inspirational setting in which to share ideas, enhance your knowledge of art and immerse yourself in a culturally rich environment. The work of Atelier Van Lieshout permeates every corner, a spectacular 12-metre art curtain displays emotive footage and a 300-square-metre art gallery hosts a varied programme of exhibitions from emerging and established artists.